Yekaterinburg - Russian Екатеринбург – is the capital of Sverdlovsk area. It is located in the Middle Ural, on the border between Europe and Asia, thus a part of the city is European and a part is Asian. 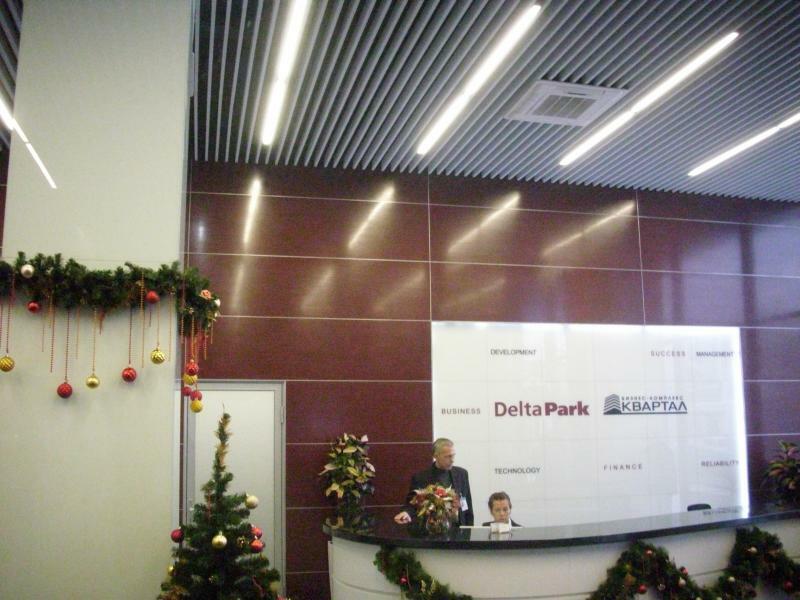 In this fourth largest city of the Russian federation, in its administrative centre Business Park, boards Grenamat AL with HPL were used for cladding of the emergency exit. Grenamat AL is a non-combustible board from the expanded vermiculite and inorganic binder. It contains no mineral or glass fibres or asbestos. It is both ecological and resistant to temperatures up to 1200 °C. The boards feature good sound-absorbing and thermal insulating properties that is why it is used for the protection of structural constructions against fire – fire-resistant partitions, panelled walls, protection of steel constructions, protection of air-condition pipeline, wall lining on escape routes, fire-resistant lining of elevator shafts and service ducts.